This page will serve as a library for all fan material for WFRP2 that I’ve been given permission (by the author) to host. Slaughter margin is a system introduced in Old World Bestiary. It is used to track combat difficulty. The College of Heralds in Altdorf requires some temporary help to sort out some disputed property cases. The players, possibly late first/early second careers, are offered a short term contract as temporary Heralds, to investigate who actually owns some valuable estates in Talabecland. However, all is not quite as easy as it appears-the bickering candidates are powerful, corrupt and ambitious individuals, and range from organised criminals to powerful wizards, and fanatic members of the Church. Bribery, corruption, street violence and a vicious animated compost heap will all be encountered on the streets of Altdorf. The adventurers will travel from the south of the Empire to the city of Middenheim, while also trying to avoid the misfortunes on the road, some sinister Tileans and the death cultists who have all decided that the party and the old painting that they are guarding are the key to finding out exactly how the long dead astrologer Tibor Brochi has managed to involve them in his affairs-five hundred years after he died. 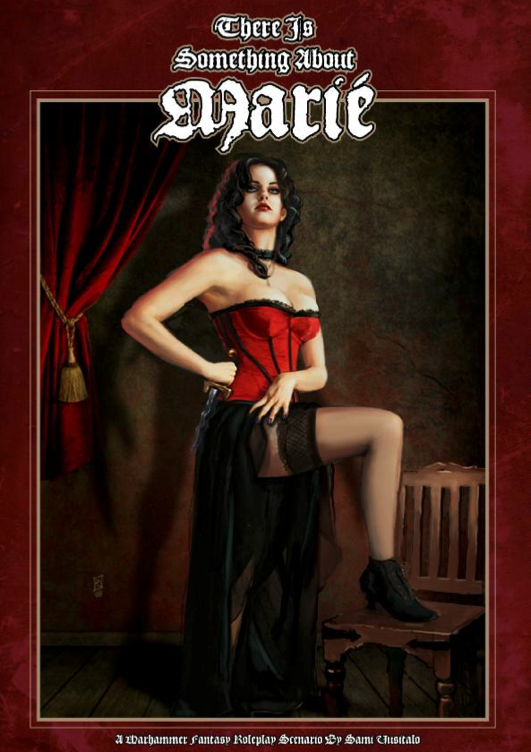 The Queen of Embers is a Warhammer Fantasy Roleplay adventure for player characters well into their second careers. The events of The Queen of Embers take place in Nuln and Wissenland over eight connected chapters and take weeks or even months of the player characters’ time, and several gaming sessions, to complete. With some work, several chapters can be used as stand- alone scenarios in other campaigns or interludes between other adventures. Note that this adventure contains adult themes. A Bitter Harvest is set in a hilly, rural area and is designed for a party of 3-6 adventurers in their second careers, requiring at most four sessions to complete. Social, stealth and wilderness skills are key, with the importance of combat depending on the PCs’ choices. The hook has the PCs being hired as neutral third parties in a business dispute, but they soon face a bigger danger threatening an isolated village. The scenario contains adult themes. 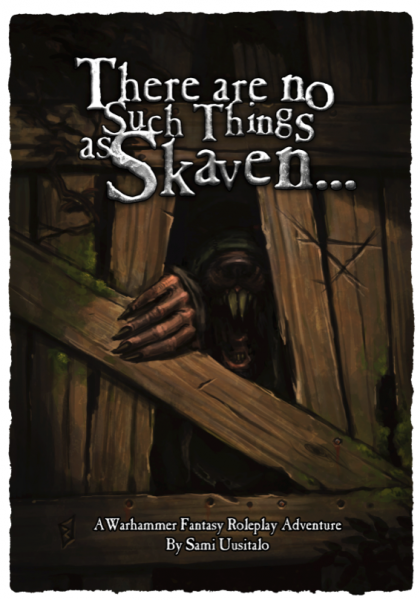 There are no Such Things as Skaven… is a short adventure best suited for characters in their first or second careers, but it can be easily modified to suit any group. The structure of the scenario is loose, directed more by character actions than by events. The adventure is set in a small town near Nuln, but with minor modifications any Imperial town could be used. This adventure best lends itself as the PCs’ first real encounter with the mythical Ratmen known as Skaven. But it works just as well with a party that already knows the Skaven are more than just a subspecies of Beastmen or bedtime stories told to children. The mood of this adventure is one of hidden threat and mounting tension. There’s Something About Marié is a scenario suitable for characters of any experience level that can be run independently or as an interlude in a longer campaign like The Thousand Thrones. For the purposes of the scenario it is assumed that the Player Characters are travelling in a river barge along one of the tributaries of the great River Reik, but could be placed along any river within Sigmar’s Empire and with a little work even the river can be replaced with a road if the PCs are more of the footslogging persuasion. This document introduces a new an well-thought cult for heroes to compete against. I personally used this as the backbone of a major campaign set on the waterways of the Empire. 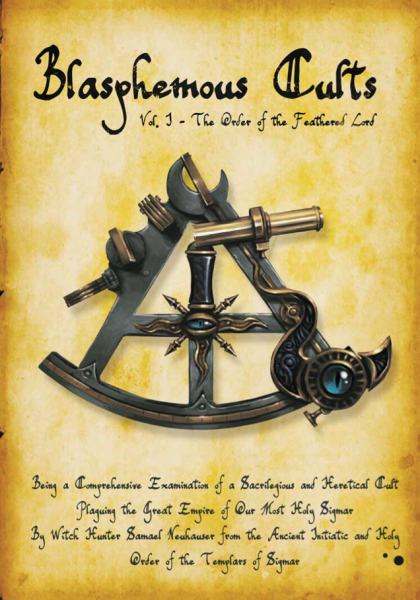 The first part of this document is written as by a Witch Hunter and can thus be given to players as a hand out if need arises. The party has been captured by villagers to be sacrificed to the gods of the woods. How do they escape the forgotten temple and will they put an end to forbidden rituals and heinous blasphemy?